• Model DTW285 is a cordless impact wrench with reverse rotation auto stop mode powered by 18V Li-ion battery and developed based on the model DTW281. • Variable speed control by trigger. • Compact design with overall length of 147mm. • Equipped with Battery protection circuit: designed to protect the battery from damages due to overdischarge, high temperature or overload current. • Reverse rotation auto stop mode: This mode works only with pulling the trigger fully in counter-clockwise rotation. • When the bolt/nut gets loosened enough, the tool stops the impact and rotation in 0.2 seconds. 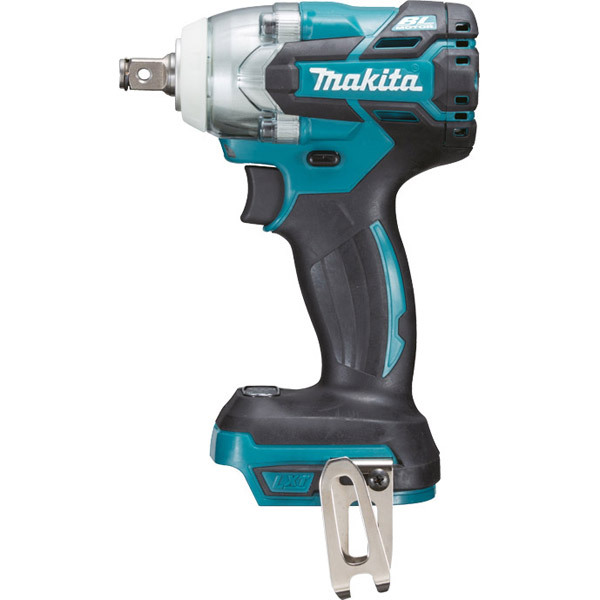 •Compatible with Makita 18V slide-on batteries and chargers.